So what else should you be doing? 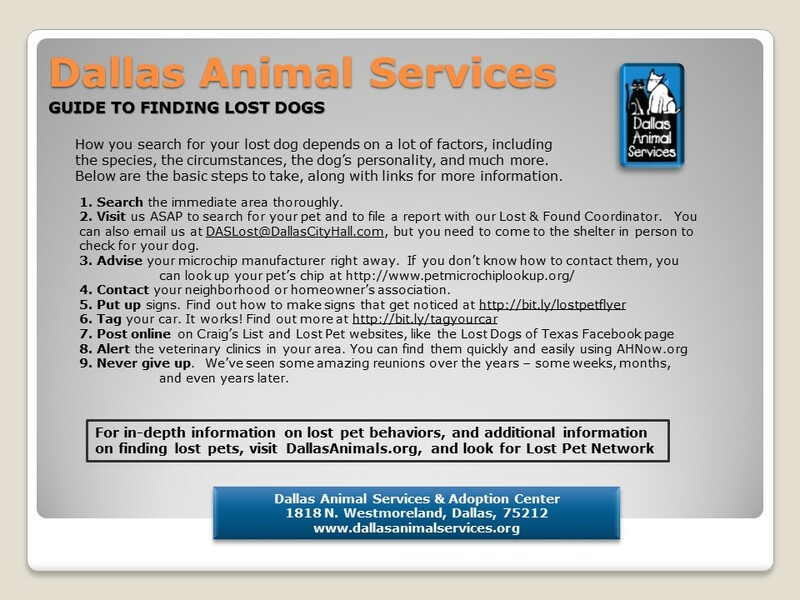 File a FOUND report with the Lost & Found Coordinator at Dallas Animal Services (DAS). You can email DASLost@DallasCityHall.com. Please be sure to include a photo and your contact info. 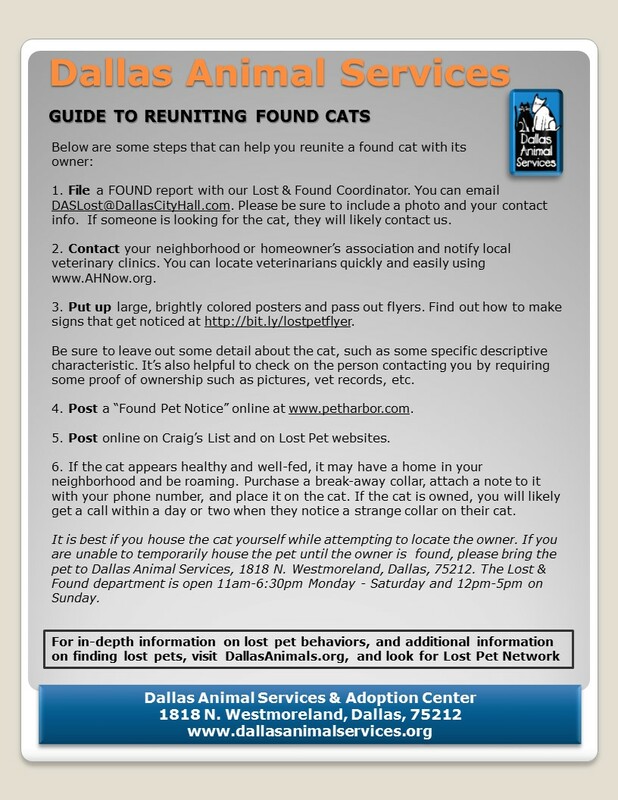 If someone is looking for the cat, they will likely contact DAS. 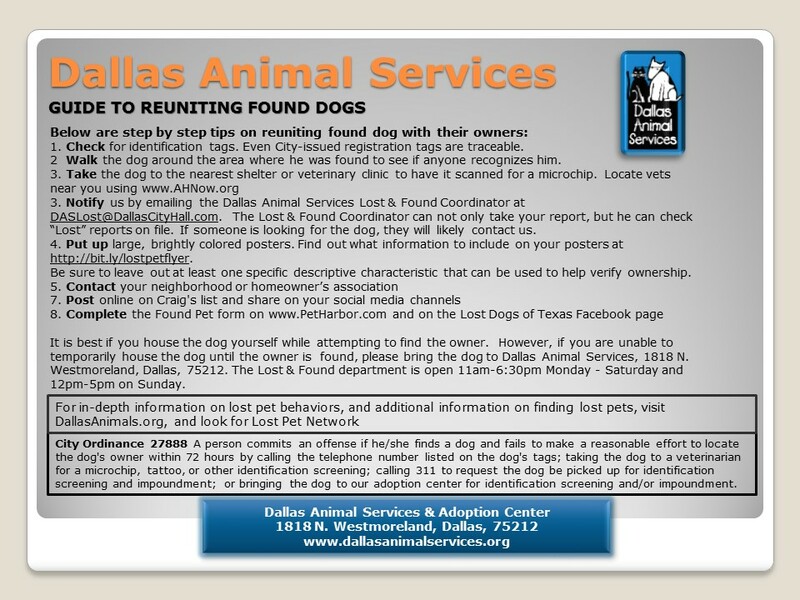 Contact your neighborhood or homeowner’s association and notify local veterinary clinics. You can locate veterinarians quickly and easily using AHNow.org. 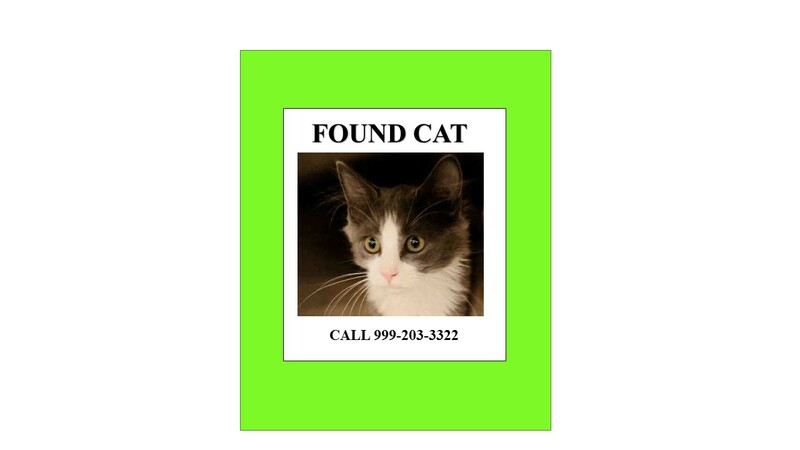 When creating signs and flyers, be sure to leave out some detail about the cat, such as some specific descriptive characteristic. It’s also helpful to check on the person contacting you by requiring some proof of ownership such as pictures, vet records, etc. 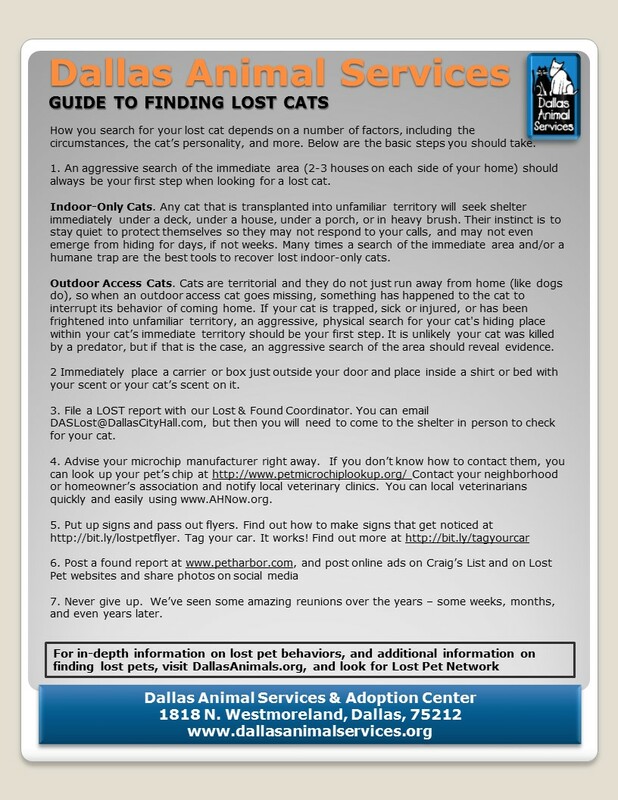 Post online notices on Craig’s List and on Lost Pet websites and share the cat’s photo on your social media channels. If the cat appears healthy and well-fed, it may have a home in your neighborhood and be roaming. Purchase a break-away collar, attach a note to it with your phone number, and place it on the cat. 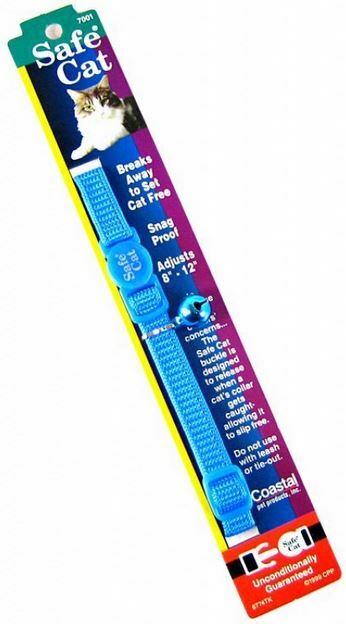 If the cat is owned, you will likely get a call within a day or two when they notice a strange collar on their cat. It is best if you house the cat yourself while attempting to locate the owner. 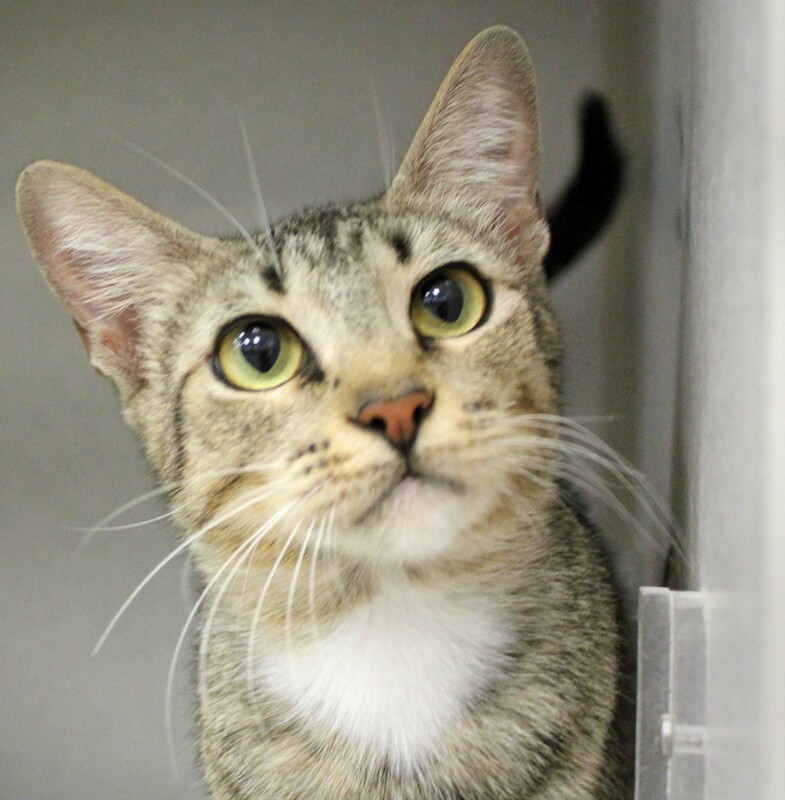 If you are unable to temporarily house the pet until the owner is found, please bring the pet to Dallas Animal Services, 1818 N. Westmoreland, Dallas, 75212. The Lost & Found department is open 11am-6:30pm Monday – Saturday and 12pm-5pm on Sunday.